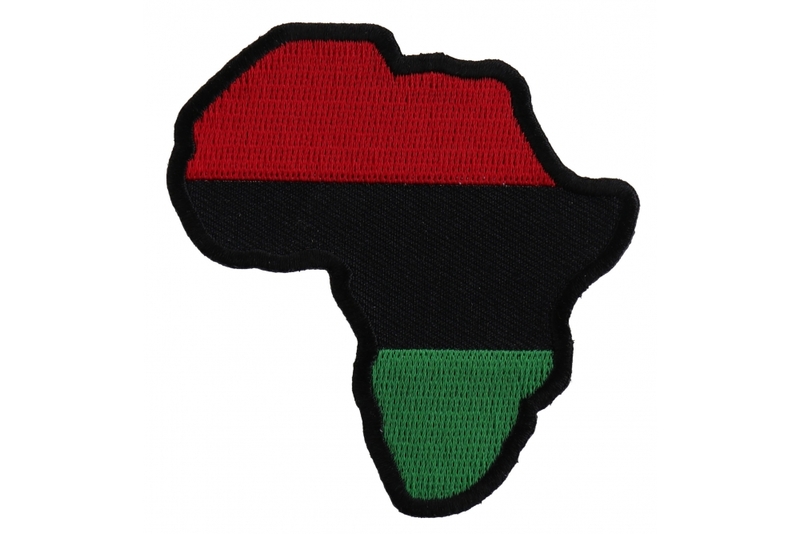 Africa Map patch measures 3x3 inches embroidered in red black and green over the shape of the African Continent. African continent is one the best continents amongst all the other continents. Filled with bountiful nature and some of the densest forests of the world, this has been regarded as one of the best tourist destination as well. Well, if you are from this beautiful continent then you do not have to tell people it by mouth anymore. There is a beautiful African Map Patch designed exclusively for those African lovers now and all you have to do is just buy this amazing patch and wear it by getting it stitched or pressed on your jackets, backpacks or vests and tell people how beautiful a continent it is!